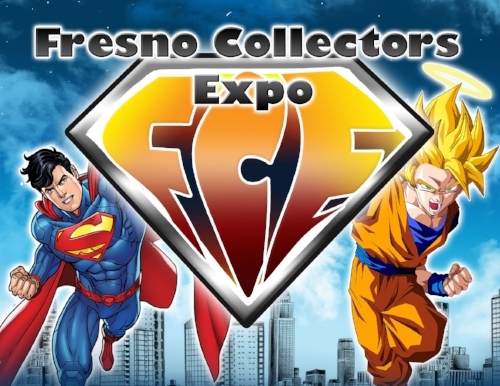 A little wrap up of our experience at the Fresno Collector's Expo, as well as the drawing for the winner of a LootCrate! The Force is strong with this special Fresno Star Wars beer! Yesterday we were among the many Star Wars and beer fans to help Fresno's very own Tioga-Sequoia Brewing Company sell out their 'The Last Jed-I.P.A.' within three hours! The beer was super flavorful and it went down fantastically, especially with John Williams' Star Wars score blasting on a sunny day. We highly recommend you score some cans if Tioga-Sequoia release more. We hope you enjoyed your Star Wars day as well! Read FresYes' recent interview of The Fresnerd! Fresno State Comic Con 2017 this Weekend! SuperBlam: Fresno's Superhero Web Series! Check out the latest project by Fresno filmmaker Matt Sconce (director of locally shot films Stricken, Firefall, and Altar): a 10-episode sci-fi web series called SuperBlam. Support local geekdom! Welcome to The Fresnerd! Who are we and why should you care? We are just a couple guys who love comics, movies, TV, books and other nerdy things. We realized we were talking about these things all the time and wanted to bring those thoughts to the world! And since we love the local Fresno area, we wanted to add an element of local as well. We'll talk about the local shops and events whenever we can. What is the most disappointing movie of 2018? Fallout is the best of the Mission Impossible Franchise!